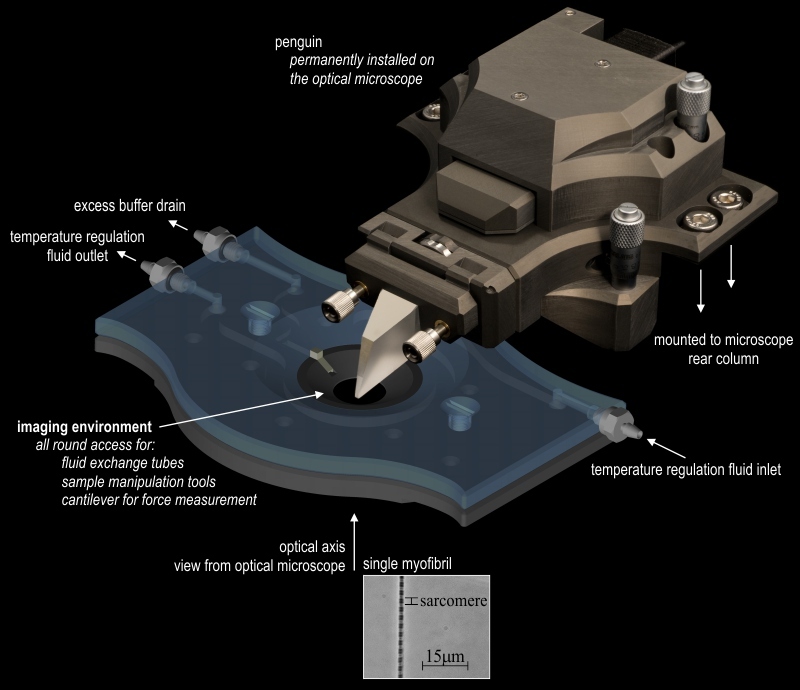 the penguin is a compact optical beam deflection sensor used to monitor the deflection of a cantilever whose long axis is parallel to the optical axis of a conventional optical microscope. this allows for a sample, such as a myofibril filament, to be imaged by the optical microscope while forces exerted by it on the cantilever can be measured with very high temporal resolution (well beyond video rate) and very high precision (not limited by the image pixel size). 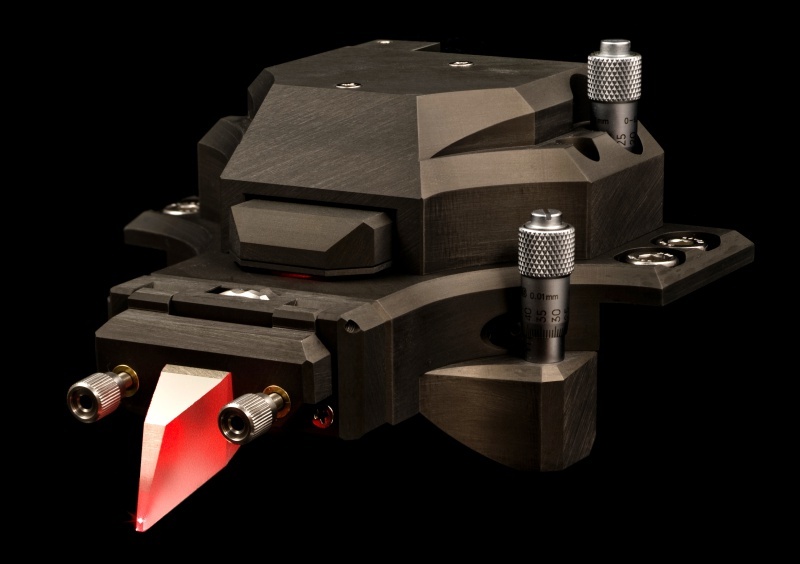 the optics and electronics necessary for cantilever detection are encased in the penguin, shown below. The digital control and data acquisition is performed by custom designed labview software by tiberius brastaviceanu. a temperature regulated bath (shown below) mounted on the microscope stage provides the working environment for the sample to be studied. micromanipulators on either side of the penguin manipulate the cantilever and a glass needle to tether the sample at both ends at the beginning of the experiment.